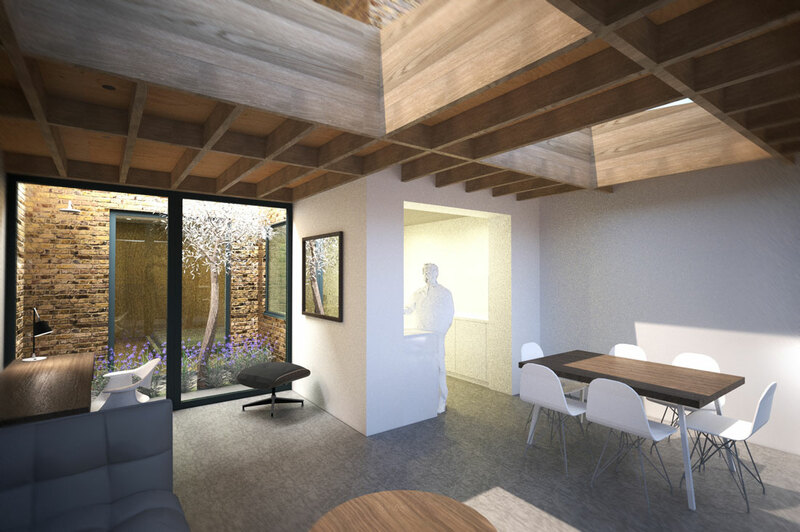 Direct commission for a new extension and full refurbishment of a lower-ground floor one-bedroom flat in a Victorian terraced house in Hammersmith. 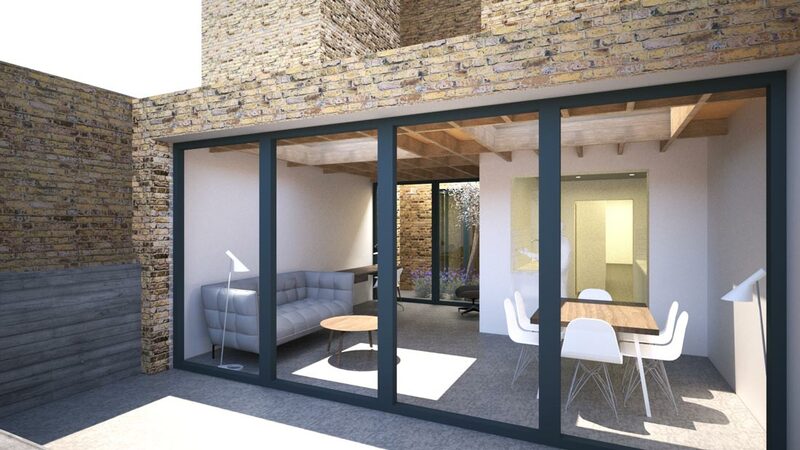 The new extension replaces an existing side-return extension and adds an additional 21m² to form an open-plan dining and living space by the garden. 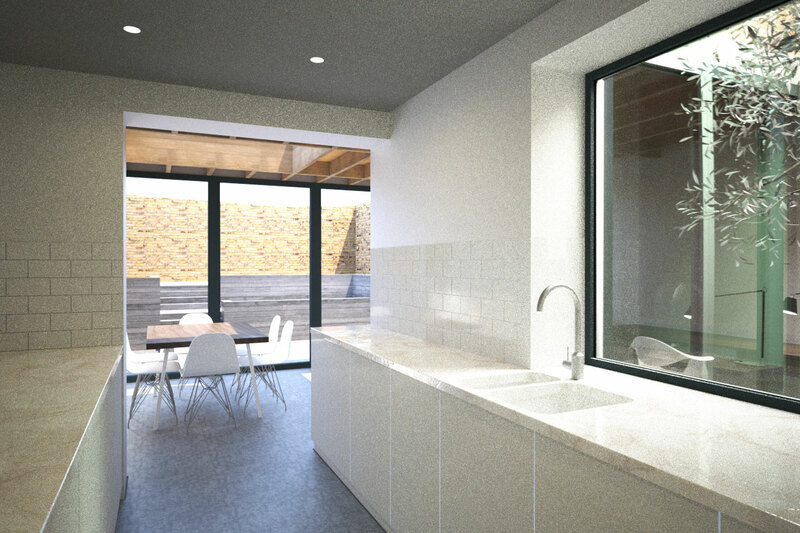 A new 5m² central courtyard brings light into the kitchen and enables a new second bedroom, making the flat suitable for a young family or for a home work space. A second bathroom and much more storage along the corridor makes the flat far more practical to live in. Two large rooflights are framed into the exposed hardwood roof structure of the new extension, drawing in natural light to the main living spaces and providing warmth to the interior. 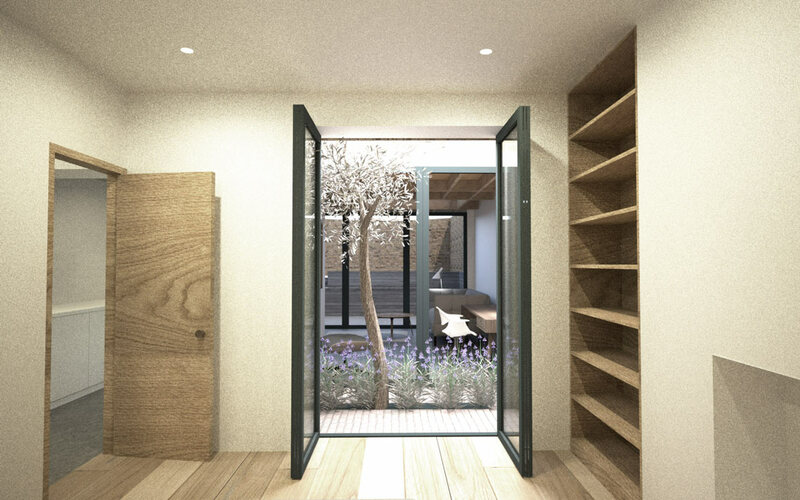 Large sliding doors to the sunny rear garden are in a new rear wall of London stock bricks.